Each of our custom Ponds & water features are artistically designed and carefully constructed by our experienced professional staff. A great source of pride has been the outstanding comments and feedback we receive about our staff, their attention to details and their kindness. Waterscape offers Pond Installation, Repair & Maintenance services and other outdoor living services for the Ann Arbor & Washtenaw County Michigan customers including; CAD designs, landscape consultations, full service pond & disappearing pondless waterfall openings, maintenance programs, water garden construction, disappearing pondless waterfall construction, fountains, aeration, natural waterfalls, stream beds, rock gardens, flagstone patios, fire pits and decorative landscapes. 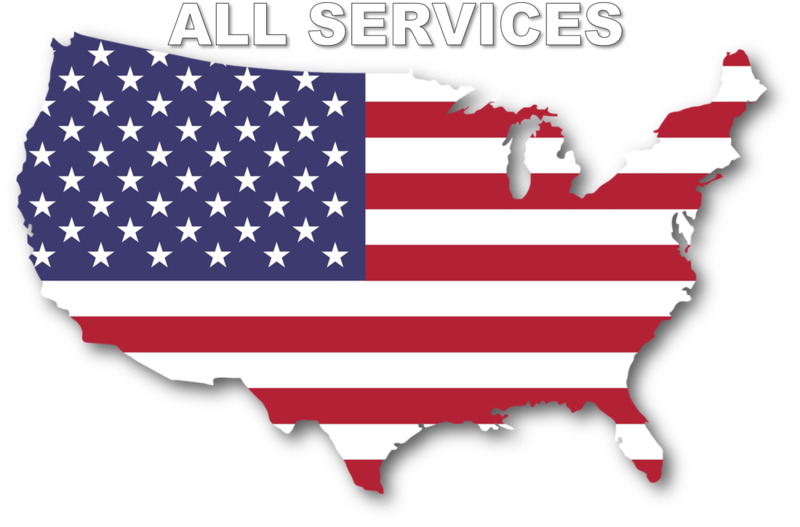 We have been in business for 15 years and have grown steadily since we were founded. 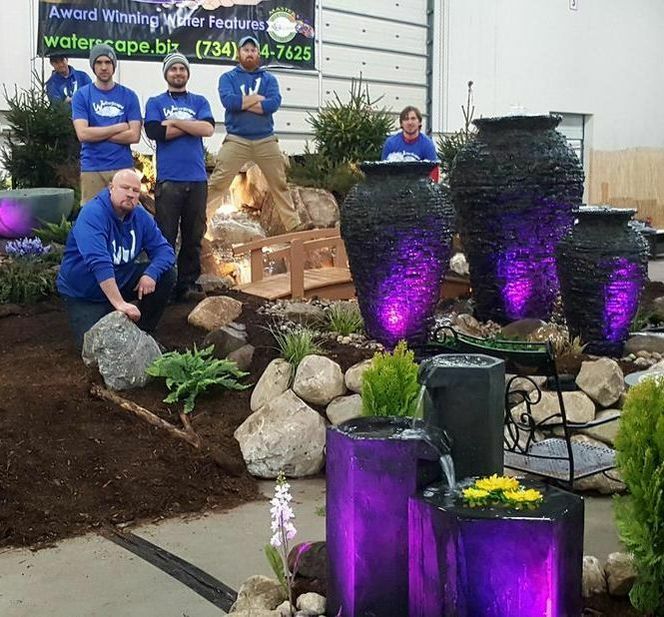 Recently awarded the top MASTER level of Certified Aquascape Contractors, WaterScape has established a large "family" of wonderful customers who love their water features. 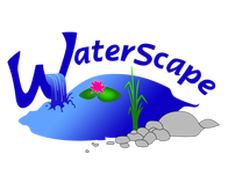 We continuously offer a large variety of education and services for our water feature enthusiasts. 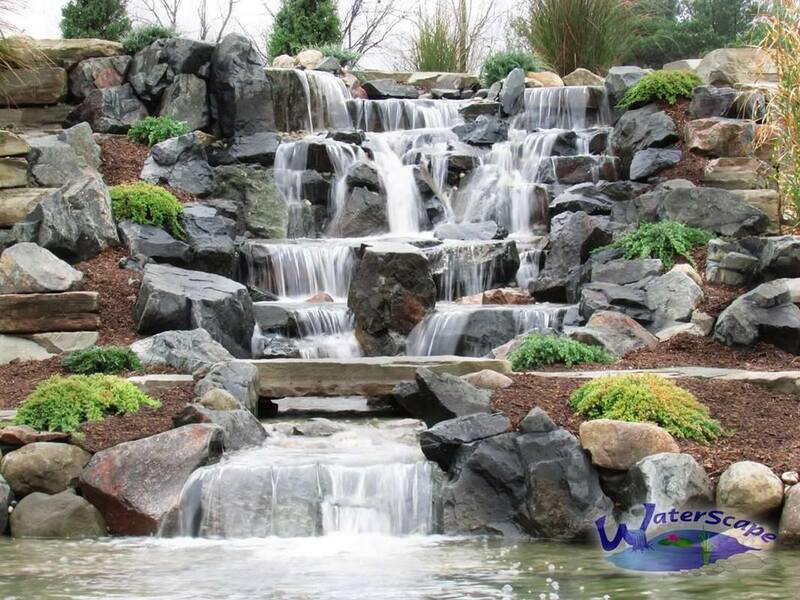 At WaterScape we provide a full range of products and services targeting Southeast Michigan including Ann Arbor, Washtenaw, Oakland, Livingston and Wayne Counties for, waterfall construction, river beds, dry creeks, pondless waterfalls, fountains and aeration, pond maintenance programs, cleanouts, winter care, beautiful stone work, patios with natural stone and brick pavers, walls, firepits, gardens and plants. Addison Township, Allen Park, Ann Arbor, Ann Arbor Charter Township, Auburn Hills, Augusta Charter Township, Barton Hills, Belleville, Berkley, Beverly Hills, Bingham Farms, Birmingham, Bloomfield Hills, Bridgewater, Brighton, Brighton Township, Brownstown Township, Chelsea, Clarkston, Clawson, Commerce Township, Conway Township, Dearborn, Dearborn Heights, Deerfield Township, Detroit, Dexter, Dexter Township, Ecorse, Farmington, Farmington Hills, Ferndale, Flat Rock, Fowlerville, Franklin, Freedom Township, Garden City, Genoa Township, Gibraltar, Green Oak Township, Grosse Île Township, Grosse Pointe, Grosse Pointe Farms, Grosse Pointe Park, Grosse Pointe Shores, Grosse Pointe Township, Grosse Pointe Woods, Hamtramck, Handy Township, Harper Woods, Hartland Township, Hazel Park, Highland Park, Highland Township, Holly, Howell, Howell Township, Huntington Woods, Huron Charter Township, Independence Township, Inkster, Keego Harbor, Lake Angelus, Lake Orion, Lathrup Village, Leonard, Lima Township, Lincoln Park, Livonia, Lodi Township, Lyndon Township, Lyon Township, Madison Heights, Manchester, Manchester Township, Marion Township, Melvindale, Milford, Milford Township, Northfield Township, Northville, Northville Township, Novi, Oak Park, Oakland Charter Township, Oceola Township, Orchard Lake, Orchard Lake Village, Orion Township, Ortonville, Oxford, Pinckney, Pittsfield Charter Township, Pleasant Ridge, Plymouth, Plymouth Township, Pontiac, Putnam Township, Redford, River Rouge, Riverview, Rochester, Rochester Hills, Rockwood, Romulus, Royal Oak, Salem, Saline, Saline Township, Scio Township, Sharon Township, South Lyon, Southfield, Southgate, Springfield Township, Sumpter Township, Superior Township, Sylvan Lake, Sylvan Township, Taylor, Trenton, Troy, Tyrone Township, Unadilla Township, Van Buren Township, Walled Lake, Wayne, Webster Township, West Bloomfield, West Bloomfield Township, Westland, White Lake Township, Whitmore Lake, Wixom, Wolverine Lake, Woodhaven, Wyandotte, York Charter Township, Ypsilanti, Ypsilanti Township.